. يعمل Windsurfer Resort على ضمان إقامة مريحة لضيوفه من خلال خدماته الممتازة وحسن ضيافته. إن واي فاي مجاني في جميع الغرف, فاكس, آلة تصوير, طابعة, تسجيل وصول/خروج سريع هي جزء فقط من الخدمات التي تميز Windsurfer Resort عن باقي الفنادق في المدينة. لقد جهزت هذه الإقامة الفندقية بعناية فائقة لتوفر مستوى عالي من الراحة. في بعض الغرف يجد النزيل تلفزيون بشاشة مسطحة, غرف لغير المدخنين, مكيف هواء, تدفئة, شرفة/ تراس. إن حمام سباحة خارجي, سبا, بلياردو, كرة الطاولة, حديقة هو المكان الأمثل في الفندق للاسترخاء وتفريغ طاقتك بعد نهار طويل. يشكل Windsurfer Resort بخدماته الراقية وموقعه الممتاز، قاعدة مثالية للاستمتاع بإقامتك في جولد كوست. Our stove didn’t have number or off button which is dangerous had to sleep a whole night with it on as owner would not help turn off. Every time we used toaster fuse would stop. Lovely site, quiet street, clean and comfortable. we booked last min, during school holidays so there was not alot of options available. windsurfer was great for what we needed, the staff were friendly and would come back again when we are working in this part of the gold coast. We stayed in #12 at a cost of $500 per night for Comm Games. Smelly appartment, curtains had blockout falling off, lumpy pillows, plank of timber under cushions on couch so you didn't fall in, had to wash crockery & cutlery before use, the whole place needs a reno. The bedroom needs a ceiling fan rather than a giant standing fan that makes it hard to get past to the other side of the bed. No drawers or anywhere to put the suitcase so we left it on the table that was too rickety to sit at anyway. The hallways are dark and airless and I noticed a few leaves that stayed on the carpet for the 3 days we were there and never vacuumed up. We spent as little time as possible in the apartment and didn't was to sit on the stinky couch to watch the foxtel at night. Positives are the beautiful water views with a lovely sunrise and a breeze to help with the room smell and the clean sheets and towels. The advertisement of this propriety was different from the actual place the room and facility was really old and out dated. Seriously room needs a upgrade in Tv, furniture, utilities and much more. This resort should only be a 2 Star. Windsurfer was amazing friendly staff.Would stay there again.Very relaxing and had everything i could think off.Thankyou so much for having me and my husband over the four days we were there. Good location and staff good. Apartment not clean though. Walls dirty, carpets dirty. Not enough crockery. Contacted staff who apologised but don’t stay in number 28! 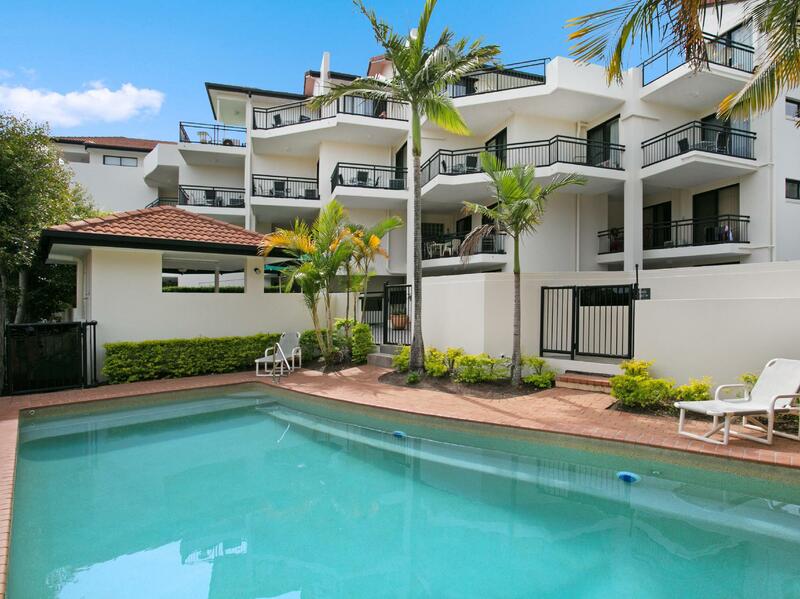 Great location away from central surfers. Close to the water. Shower didn't open more than 40cms due to refurbishment fault. No housekeeping. It was me my mum and two sisters that stayed for a holiday, great location and awsome experience. The apartment is spacious , has a large balcony overlooking the street then the water. My apartment, no 12 , was just a bit outdated, could use a bit of TLC. Bed was comfortable. I would return again here but would check first what apartments are available as they are all different . One thing to mention; WIFI is limited, you get 250 MB per day , if you over it , you need to pay . I ended up using my quota for the 6 days within 2 days. Some units have dvd and electric frypan some don't. Unit 13 had both these and had been recently renovated but unit 12 was very tired and curtains need to be replaced and did not have these items. Washing machine in unit 12 did not work properly. Both units would benefit from a thorough clean of the bathrooms and behind, around and in the washing machine. Hotel is only convenient for driving holidays. The resort is in a fantastic location just few meters from the beach and most famous gold coast attractions are within a 25 - 45 minute drive. The room itself was large and had all the facilities needed but we had stains on our sheets, grease all over the floor in the kitchen, cooking utensils and glasses dirty and had to be rewashed. I came to see my grandchildren.This place was very close to where they live.I would stay there again.